A look at the stunning exterior of Joslyn Art Museum in Omaha Nebraska. Left: A look at The Fountain Court in Joslyn Art Museum. 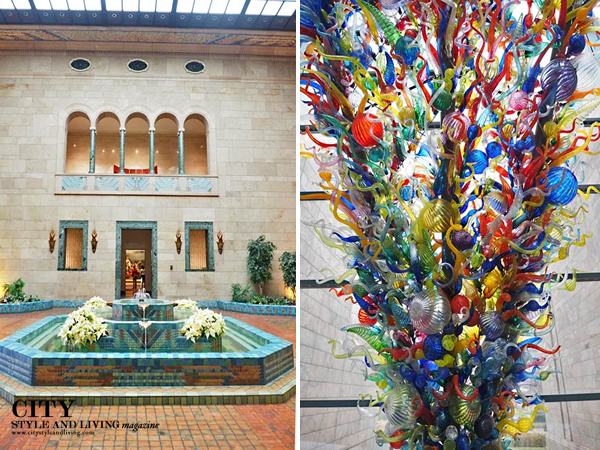 Right: inside the Joslyn Art Museum in Omaha, the colourful Chihuly's Inside and Out. 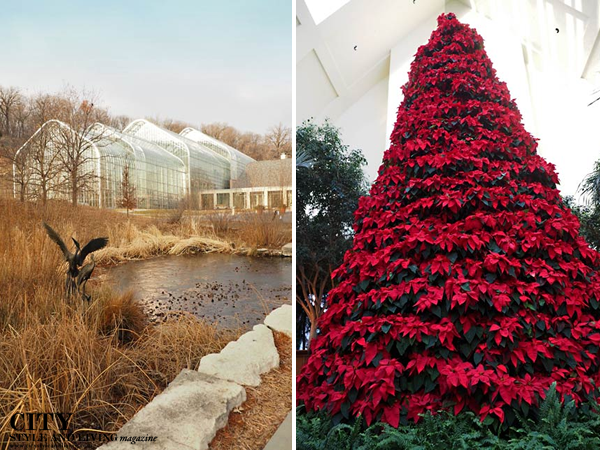 The newly opened conservatory at The Lauritzen Gardens-Omaha Botanical Center (left) and a stunning 20ft. poinsettia tree to celebrate the season. La Buvette a French style bistro in The Old Market. Our pick to pair with with butternut squash soup, raclette and potatoes and of course, crusty bread? A beautiful 2003 Sagrantino wine. 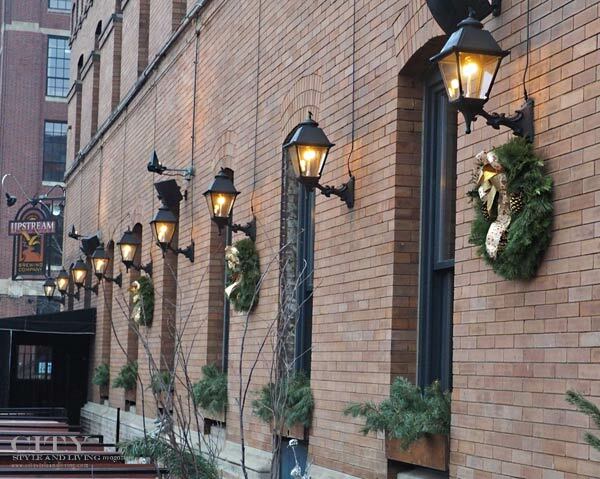 A look at the beautiful architecture in the Upstream in Omaha's Old Market. 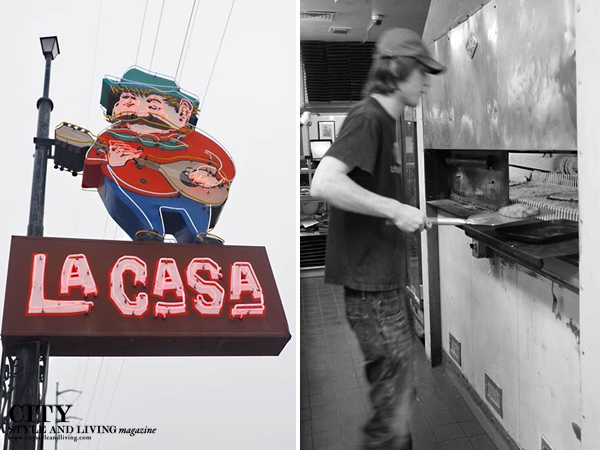 La Casa Pizzaria, a family owned and operated restaurant. 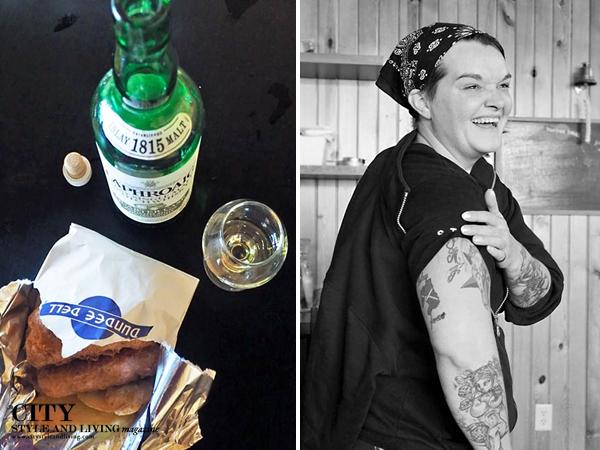 Mary Kelley Executive Chef at Dundee Dell in Dundee featuring the largest collection of single malt Scotch in the U.S. Left: her famous fish and chips. 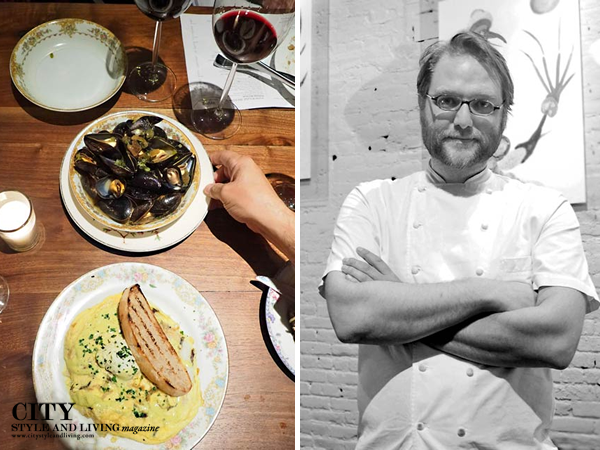 Le bouillon executive Chef Paul Kulik serves up French fare at his restaurant. 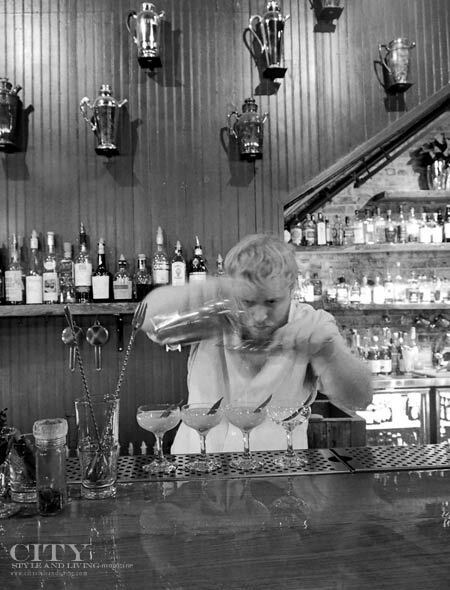 A bartender mixes the 'Snowfall In Denmark' cocktail: House Aquavit, Fresh Lime, Sugar, Absinthe & Snow Peas at The Berry & Rye craft cocktail room in Omaha. 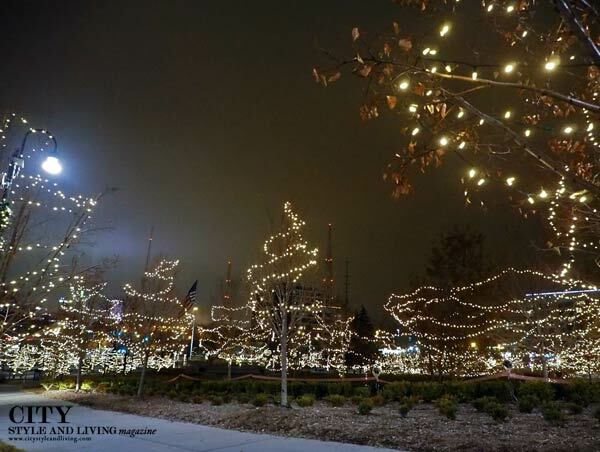 Sparkling Holiday lights at midtown crossing. Grane- at Midtown Crossing. 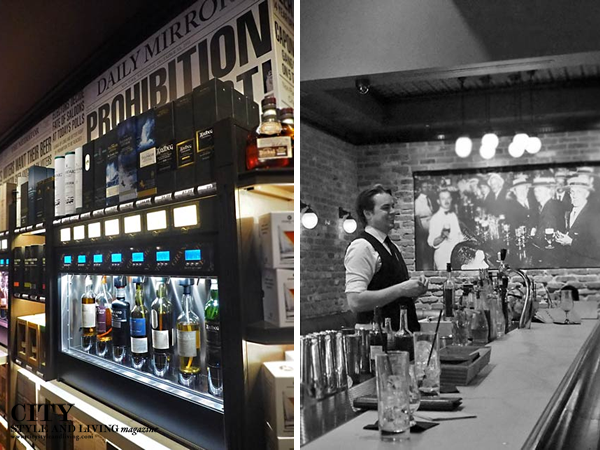 Owner of the prohibition style establishment, Dan Matusek (also of Brix) is a pioneer in the automated whisky dispensing systems, allowing customers to sample a variety of whisky from around the world (left). Bartender Devon Mundt (right). 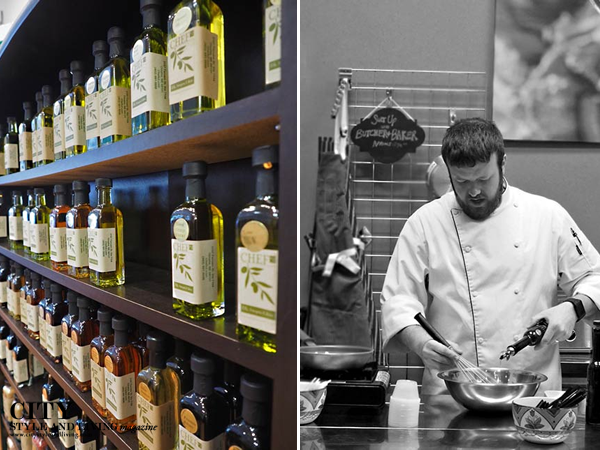 Chef2 owned by Ben and Chef Jim Terbbien is a delightful culinary store in Midtown Crossing. Inside is an array of olive oil, balsamic vinegar, sea salt, sugar and other gourmet products. 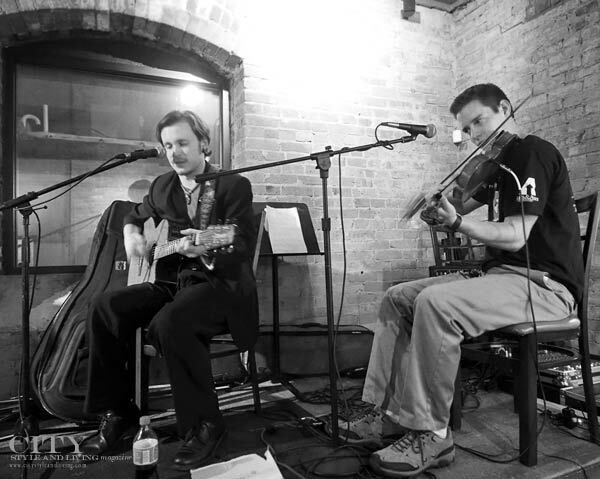 Chef Brian Young (pictured right). 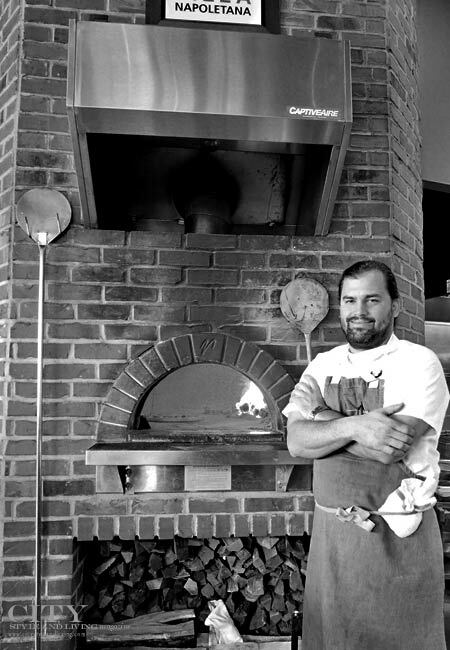 Executive Chef Nick Strawhecker of Dante Pizzeria Napoletana in West Omaha stands in front of the wood fired oven. 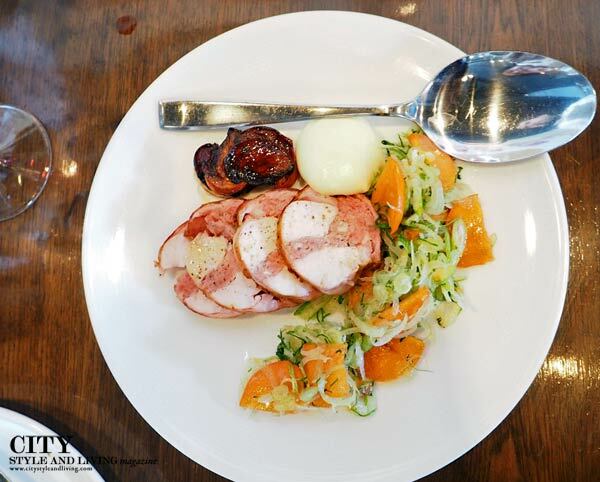 A delicious rabbit dish with picked fennel and persimmon at Dante Pizzeria Napoletana. Left: pizza Margherita. 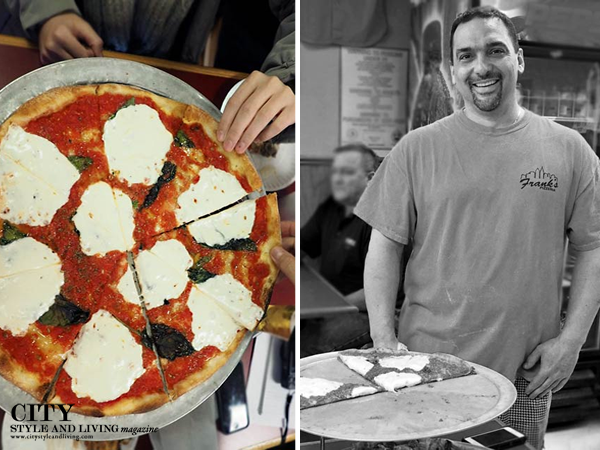 Right: Owner Jo D'Elia of Frank's Pizzeria featuring classically simple but perfect pizza. 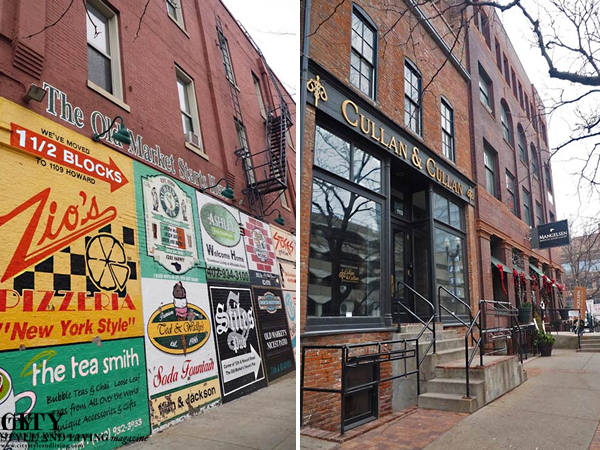 A look at The Old Market in Omaha - historic brick edifices with boutique shops, restaurants and pubs. 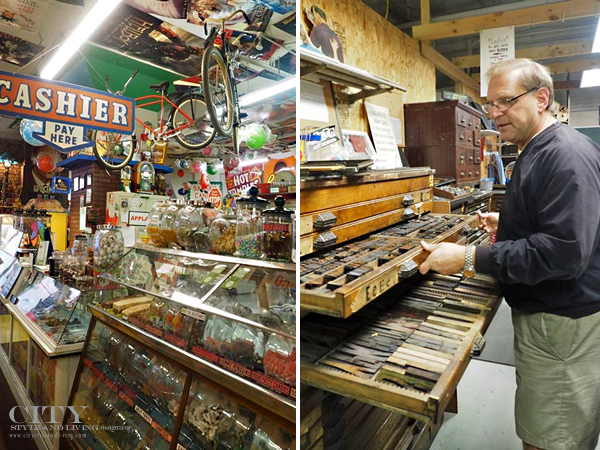 The iconic Hollywood Candy and Fairmont Antiques is a national treasure - a maze of gems including an authentic retro diner, movie theatre, Santa's workshop, candy store, and much more. 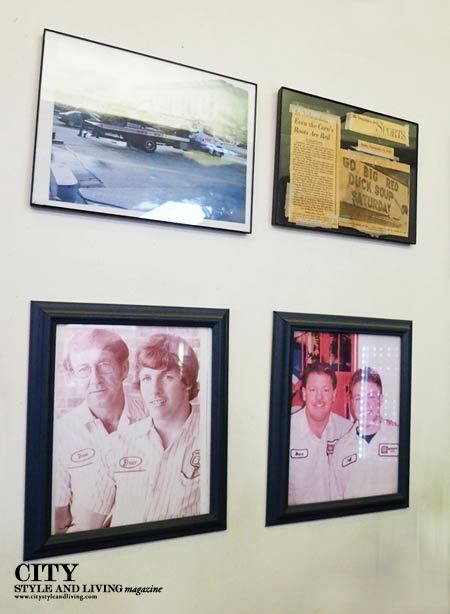 Owner Larry Richling is a wealth of knowledge, and a true visionary. This is more than a store it's an experience! The Grey Plume is a standout on the food scene in Nebraska. Executive Chef Clayton Chapman (right) creates contemporary combinations with an emphasis on seasonal food from local producers including making his own pasta and charcuterie. Watch out, this chef has serious talent. 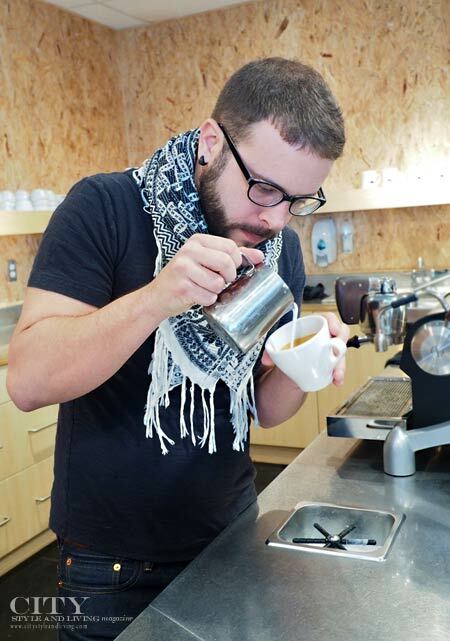 Aaron at Beansmith Coffee roasters makes perfect coffee art. Beansmith specializes in single origin beans from around the globe including Ethiopia, Brazil and Nicaragua. 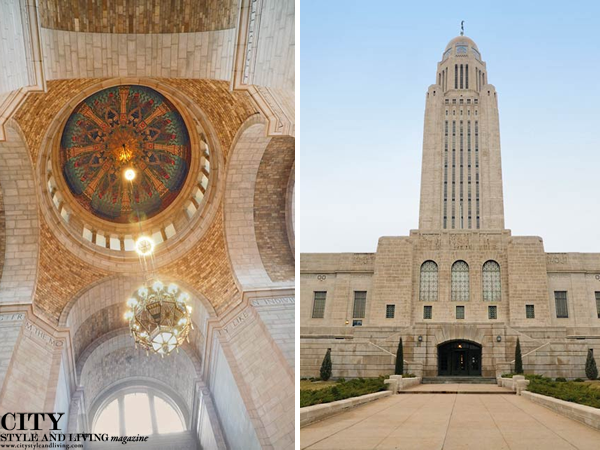 The Nebraska State Capitol, inside and out. Lunch at Dish- A selection of cauliflower steak: spiced cauliflower, butternut squash puree, apple salad, Israeli couscous with beet puree, kale; parmesan scallops, orange crusted shrimp, salmon, beet and mushroom risotto, carrot puree, spinach; cashew crusted scallops, and orange garlic cream. 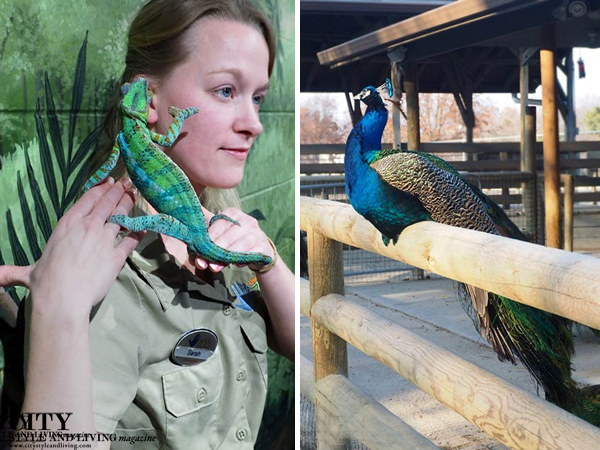 Sarah (left) holds a chameleon at The Lincoln Children's Zoo and botanical Garden. A beautiful peacock sits atop a wooden fence. On the fondness that children have of the staff President and CEO, John Chapo states. "We have kids that will dress up as the zookeepers for Halloween - including their name tags. That's the magic of this place." An enormous chocolate box at Pinnacle Bank Arena in Lincoln - look closely, the chocolates represent various Nebraska landmarks like the "O! ", the trains of the railyard district, and the sower (also on the top of the Nebraska State Capitol building). Go Huskers! 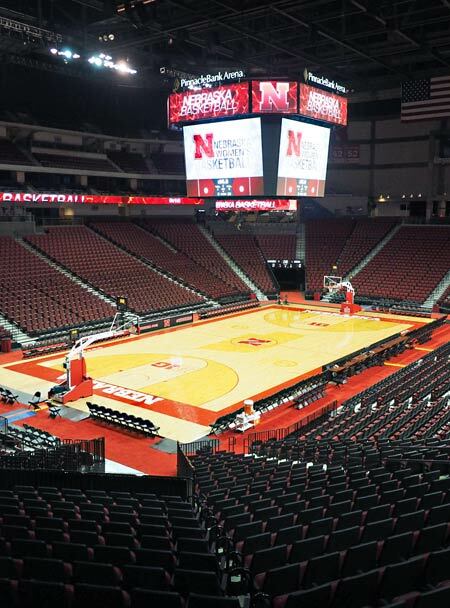 A look at the basketball court at Pinnacle Bank Arena. A testament to the down-to-earth nature of local Nebraskans: We stopped at a local gas station, and met Jeff Melichar a 4th generation owner. We talked for 20 minutes about everything from travel plans to architecture and farming. 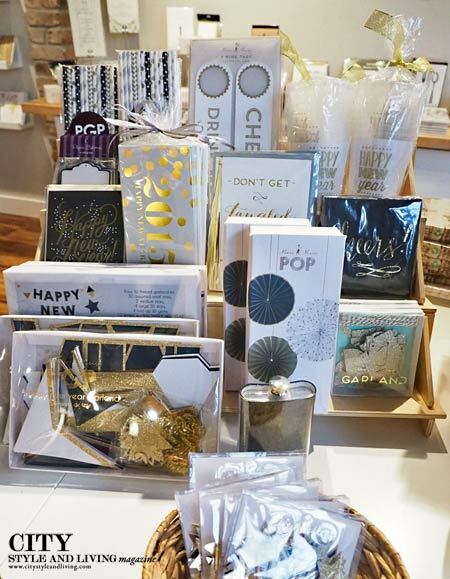 Letter Bee, a beautiful stationary store in the Haymarket, Lincoln. 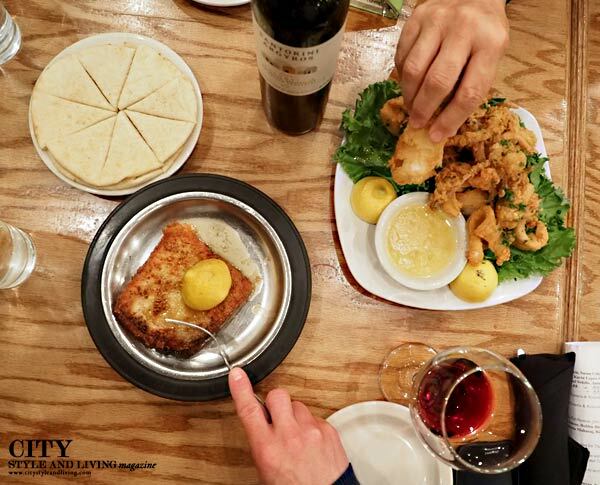 Dinner at The Parthenon Greek Grill- pictured here saganaki and fried calamari, followed by a feast of chicken souvlaki, dolmathes, pastitsio, mousaka, braised lamb shank, klitharaki and a selection of dessert. Cask Fermentations and Cocktails featuring the lovely music of Nate Armstrong and the Fiddlin' Fool. 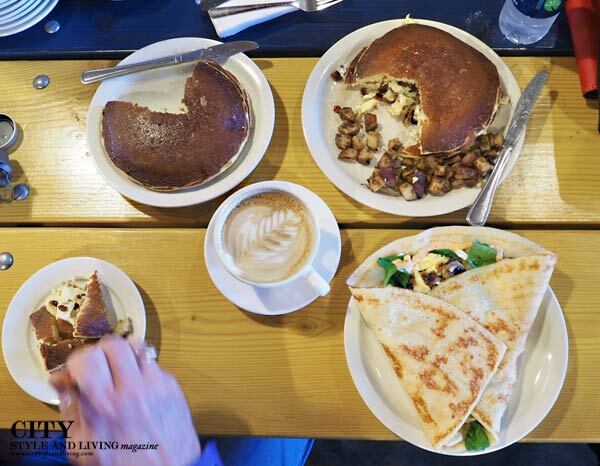 Breakfast at Cultiva Coffee roasting company. 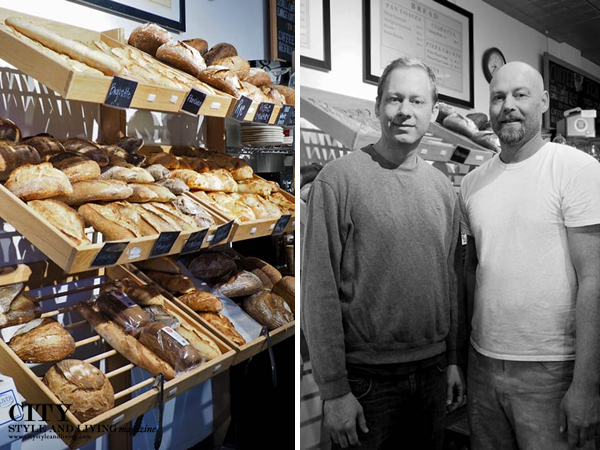 The charming brothers John and Seth Quiring of Le Quartier Baking company create Montreal and French style artisan bread, croissants, pain au chocolat, baguettes (plain and blue cheese) and cronuts. 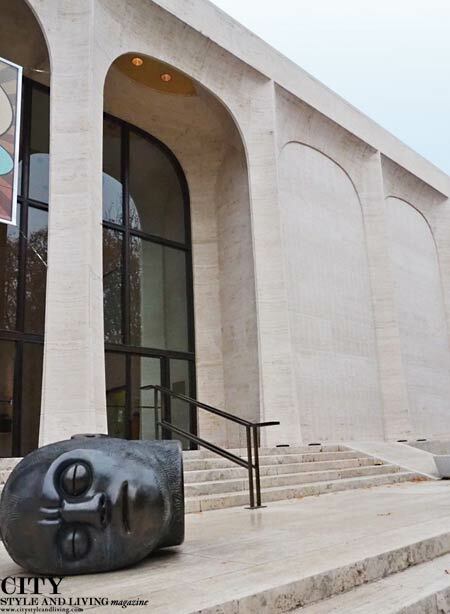 Outside of the Sheldon Museum of Art a stylized head statue "Fallen Dreamer" by Tom Otterness - the permanent collection houses more than 12,000 objects and includes works by such artists as Mary Cassatt, Edward Hopper, Georgia O'Keeffe, Jackson Pollock, and Andy Warhol. 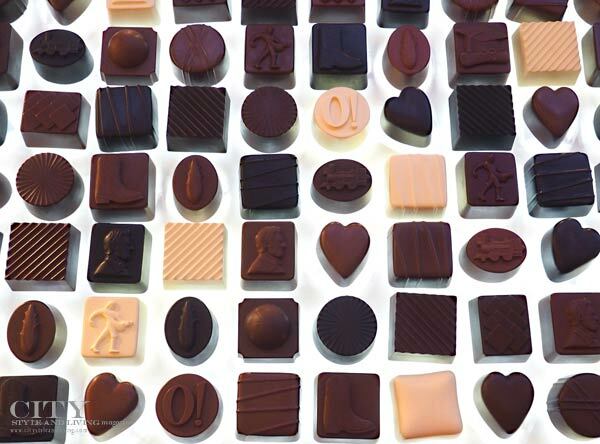 A selection of licorice from Licorice Inernational. 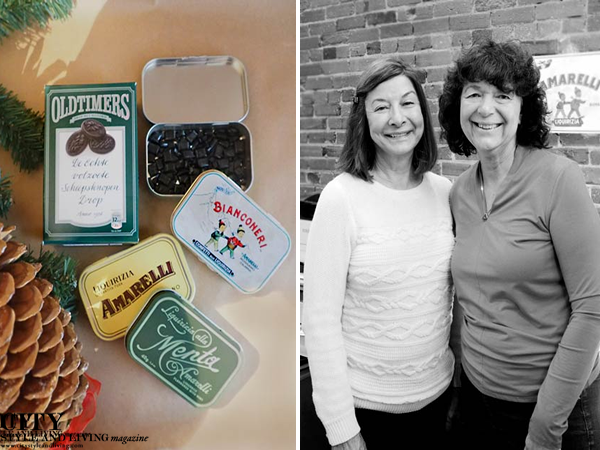 Right: Owners and best friends Elizabeth Erlandson and Ardith Stuertz. 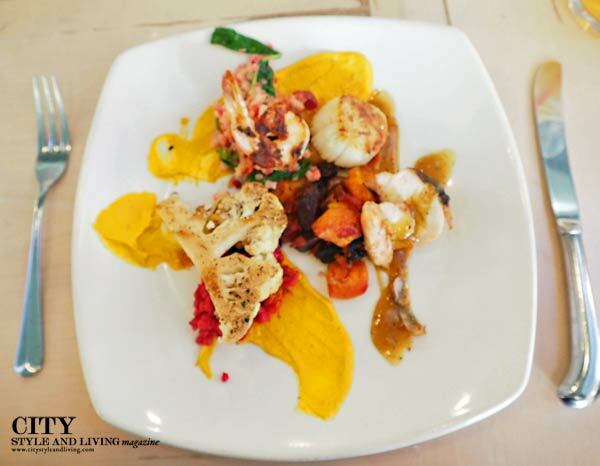 Tasting lunch at The Normandy with owner/ chef Lawrence De Villiers and chef Caleb Heston. 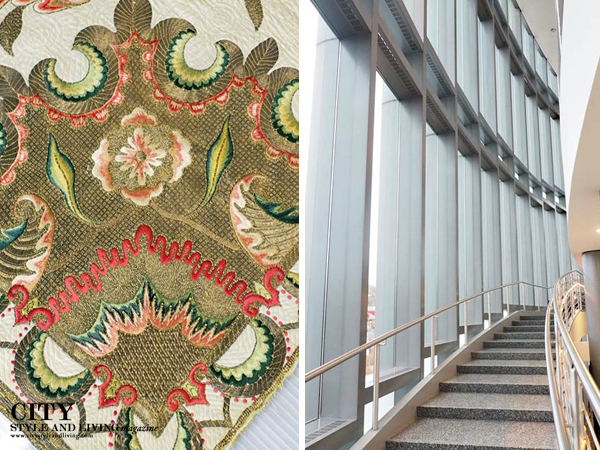 Left: An intricate and rare British quilt with gold thread at The International Quilt Study center and museum. Right: Inside the International Quilt Study Center. 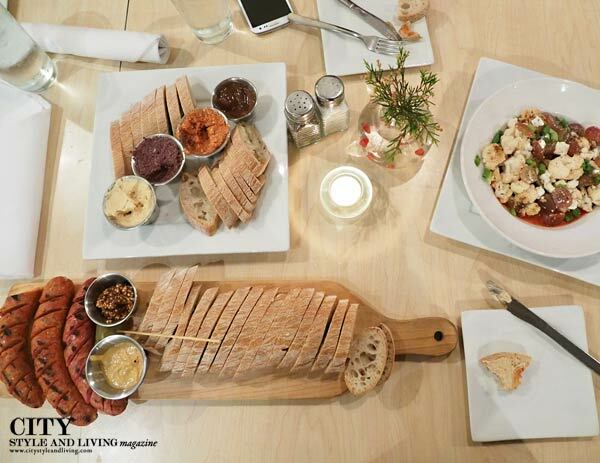 A selection of charcuterie and local cheeses from Chef Kevin Shinn of Bread & Cup. Left: A perfectly seared scallop with spinach risotto , crispy onion straws and smoked paprika oil. 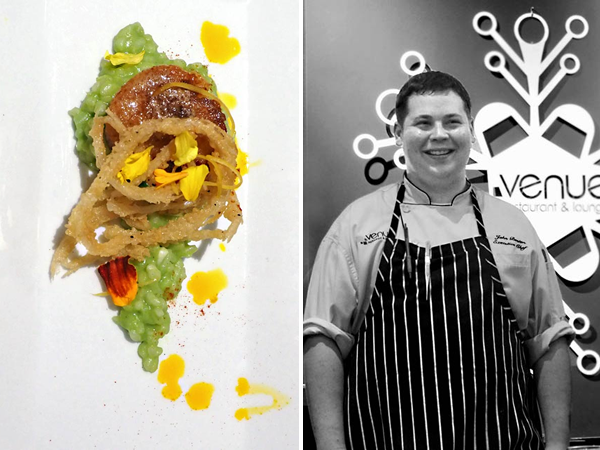 Executive Chef John Benton of Venue Restaurant and Lounge. Right: Chef Benton grew up in Lincoln, and is a devotee of sustainably gown, fresh local food. 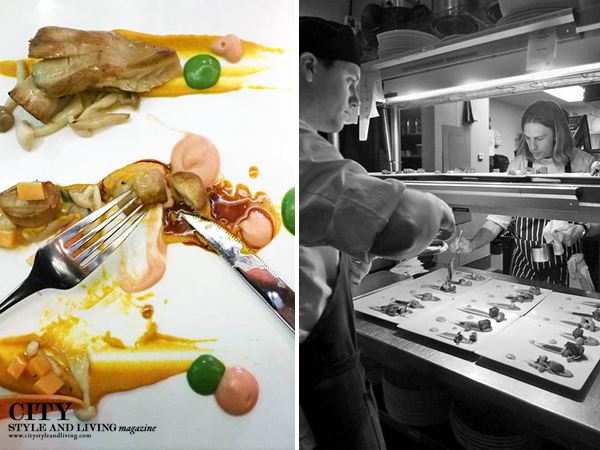 This young chef is another one to watch. 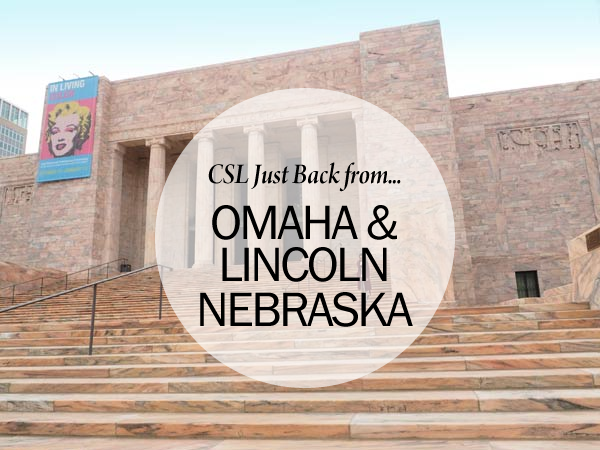 A team from CSL just returned from a culinary, and cultural tour of Omaha, Lincoln and Sarpy County Nebraska. Located in the heart of the mid-west the overwhelming generous and humble nature of the chef, restaurateurs and artisans is palpable. 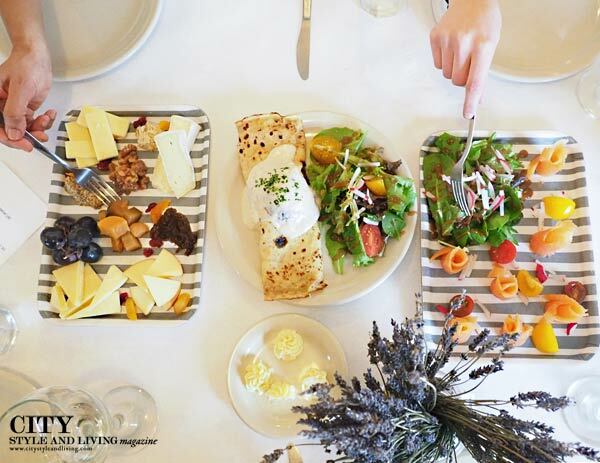 A focus on farm-to-fork eating is the genesis of the food revolution in the area. 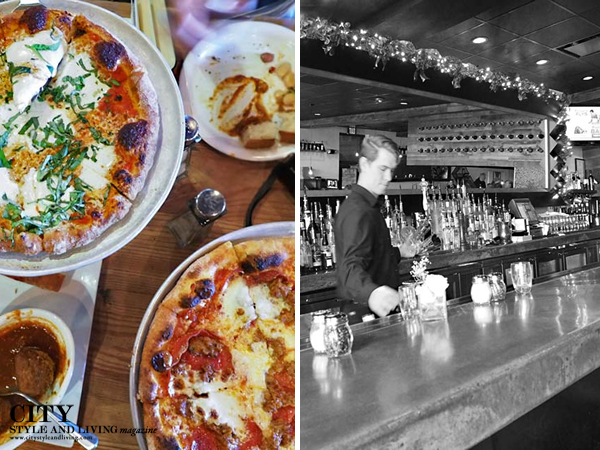 From pizza crawls, to craft cocktail rooms to artisan bakers and impressive culinary artists, Nebraska is on its way to becoming the next big food destination. Thank you so much for taking the time to comment. This photo caption has been rectified. Again, thanks again for your input. Another quick correction to point out: the chef pictured at Chef2 in Omaha is actually Chef Brian Young, fyi. Thank you JV this too has been rectified. Thanks for visiting and taking the time to share your insight. What a great selection of photos from Nebraska - great work! 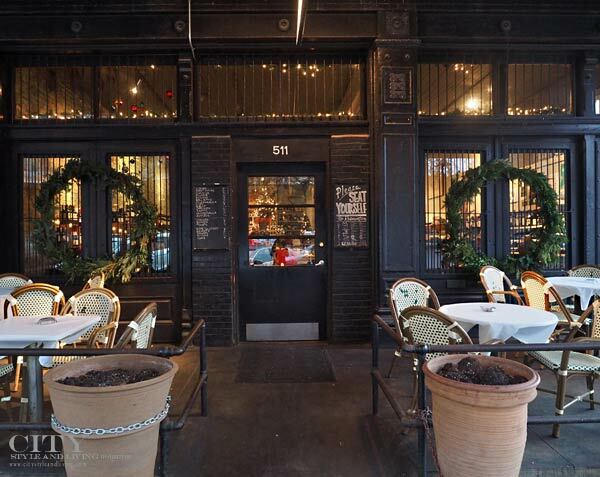 I love a lot of those places - Dante is my favorite restaurant. 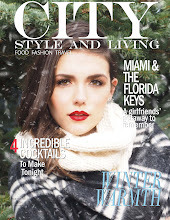 Check it out if you visit Omaha.